We’ve all made to-do lists, and written goals, and even written reminders to finally do that one thing someday, but have you ever made a bucket list? Bucket lists are essentially a list of things you want to accomplish or see before you die. They can be a simple list like five quickly jotted down activities or as complicated as seven detailed pages of things to do on every continent. 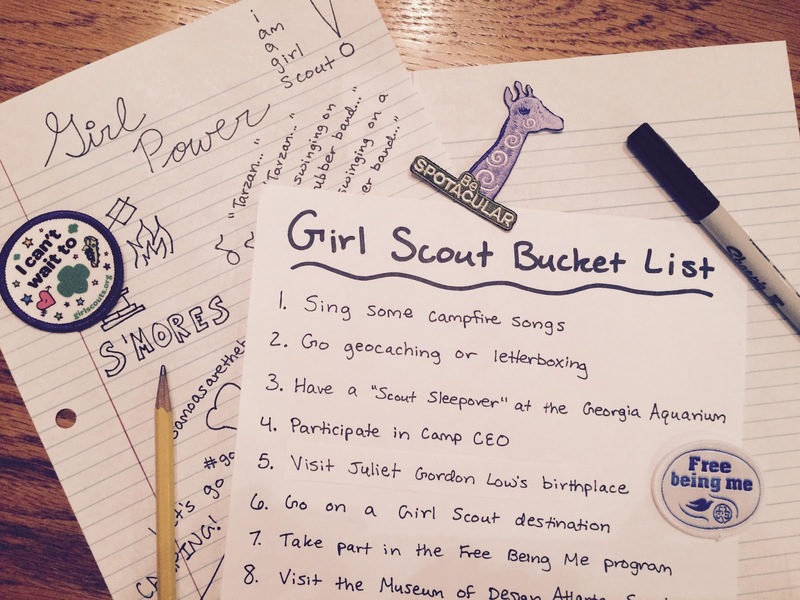 Here at the Lime Green Giraffe, we decided to create a bucket list specifically for Girl Scouts. While ours isn’t seven pages long, whether you’ve been a Girl Scout for 11-years or just started out, there are plenty of places to go and things to do! Here’s our bucket list. No matter where you are, these activities are Girl Scout classics. 1. Sing some campfire songs like Tarzan, Princess Pat and Little Sally Walker! 3. Host a badge workshop and help younger girls earn a badge while having fun! 6. Try some traditional camp activities like canoeing or archery or even take on a high challenge course! 7. Go geocaching or letterboxing and search for hidden treasure. 8. Cook a meal entirely over a campfire. Try popular recipes include Monkey Bread, tinfoil wrapped quesadillas and s’mores! 9. Be a CIT or Counselor-In-Training at a Girl Scout summer camp. You will get a camp nickname and all! 10. Go tent camping with your fellow Girl Scout troop members. 11. Try awesome crafts like finger knitting. 12. 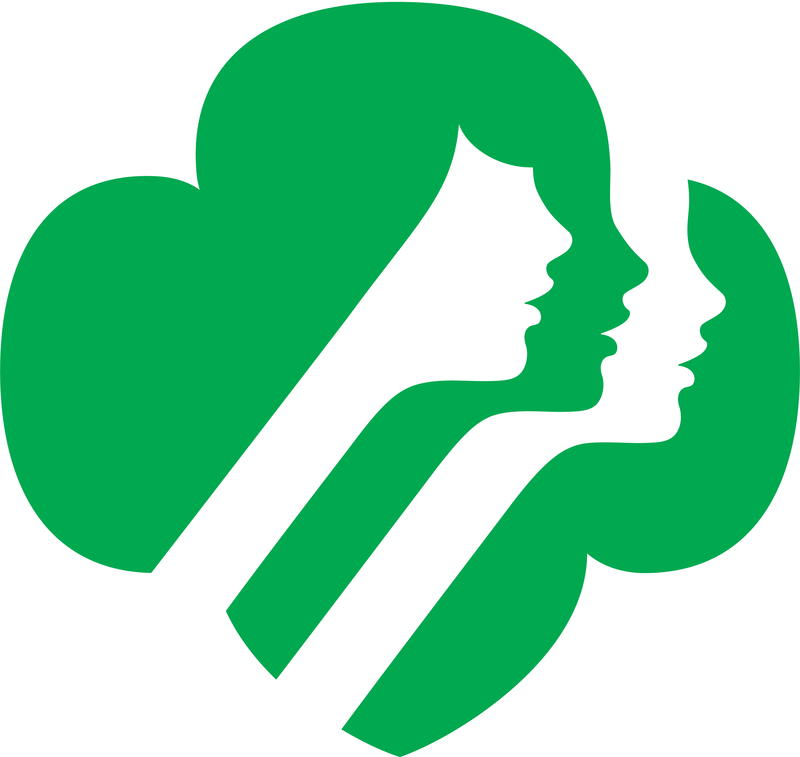 Participate in a Girl Scout flag ceremony. 13. Go a weekend long Camporee for all ages. Your service unit might host one. 14. Try a night hike under the stars! To give our hometown a shout out, here are some things that are these are some cool to do right here in Atlanta! 1. Tour Chamberlain’s Chocolate Factory and earn a badge! 2. Hogwarts here we come! Participate in a “Harriet Potter” week at Camp Meriwether as well as other specially themed camps at Girl Scouts of Greater Atlanta camps. 3. Join a Girl Scouts of Greater Atlanta Lego Robotics team. 4. 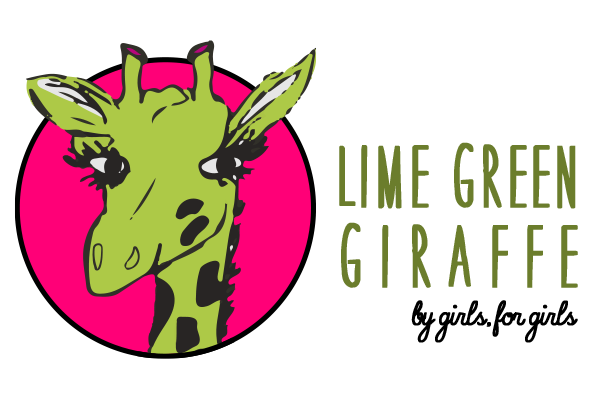 Become a writer with Lime Green Giraffe! Applications are due in April. 5. Spend the night right next to the fishes at a “Scout Sleepover” at the Georgia Aquarium. 6. Participate in Camp CEO at Camp Timber Ridge and learn from women executive mentors..
7. Attend the Girl Scout themed Braves night and be a part of the pre-game parade! 9. Shop at the Badge and Sash Girl Scout store in Mableton. 10. Participate in a badge session at the Chattahoochee Nature Center. We hear there are animal encounters. 11. Visit the Museum of Design Atlanta on Scout Night, the second Tuesday of every month and earn cool badges like comic artist or inventor! 12. Take a restaurant tour at places like Chick-Fil-A, Mellow Mushroom, or Krispy Kreme. 14. Visit one the Girl Scouts of Greater Atlanta STEM expo. Where you might see awesome demonstrations like hover boards and crime scene forensics! Since World Association of Girl Guides and Girl Scouts or WAGGGS members can be found in 146 countries, these are awesome activities for Girl Scouts to do around the world. 1. Visit Girl Scouts of the USA founder, Juliette Gordon Low’s birthplace in Savannah, Georgia. 2. Visit one of the five WAGGGS World Centres - or visit them all! There are World Centres in United Kingdom, India, Mexico, Switzerland, and Africa. 3. Take a special trip and hike around Mont Blanc and through France, Switzerland, and Italy with fellow Girl Scouts! 5. Attend CampHERO in Wisconsin and experience what it’s like to be a police officer, firefighter, and paramedic. 6. Participate in World Thinking Day celebration. You can also earn the WAGGGS World Thinking Day award. 7. Visit the Girl Scouts of the USA national headquarters in New York City. You can see various exhibits including uniforms throughout the years and the original trefoil patent. 8. Visit New York City and experience a Broadway Badge Workshop at Pearl Studios. 9. Take part in an international scout jamboree like the Essex or Pinakarri International Jamborees or Girl Guides of Canada’s Guiding Mosaic and meet thousands of fellow Girl Scouts from around the world! 10. Participate in the Charnwood International Scout and Guide camp in the United Kingdom. 11. Go on an overnight backpacking trip, whether in a country across the sea or a state park closer to home! 12. Take part in Free Being Me, you can earn a patch that is recognized worldwide, and learn more about being comfortable in your body and standing up to social pressures. 13. Find an international Girl Scout pen pal! Wow, there’s quite a lot on our bucket list. We hope you go out there and try it all, and make sure to let us know if you do because there’s lots of fun, amazing, totally Girl Scouts things to do!